Tout Challenge Archives | TOUT WARS! Three Top Steve Moyer In Tuesday Tout Challenge at FanDuel! mpoole rode to #toutchallenge victory behind the booming bat of Joey Votto, a Carlos Rodon win and nice contributions from Carlos Correa and Peter Bourjos. brocnessmonster, in second place, also rostered Joey Votto, and got a good game from Anibel Sanchez, with big contributions from Yan Gomes and Todd Frazier. You’ll find Votto on third place finisher cwalinski’s team as well, along with Giancarlo Stanton, Carlos Correa and Cory Kluber, who put up nine points despite losing his game. The Top Tout was Steve Moyer, another Votto owner, who got almost nothing from his pitcher, Mike Foltynewicz, but plenty of points from Giancarlo Stanton, Yan Gomes and Jhonny Peralta. Last week five civilians beat Lawr Michaels, the highest finishing Tout, in the Tuesday night Tout Challenge. The week before, one civilian tied Todd Zola for the contest’s highest score. How will you do against the Touts? Find out this week by entering the $2 one day Tout Challenge here: http://fanduel.com/tout-challenge. Finish in the top half of finishers (you don’t have to beat any Touts) and double your money, while learning how one-day fantasy baseball works. Five Beat All Touts in June 2nd #toutchallenge at FanDuel. 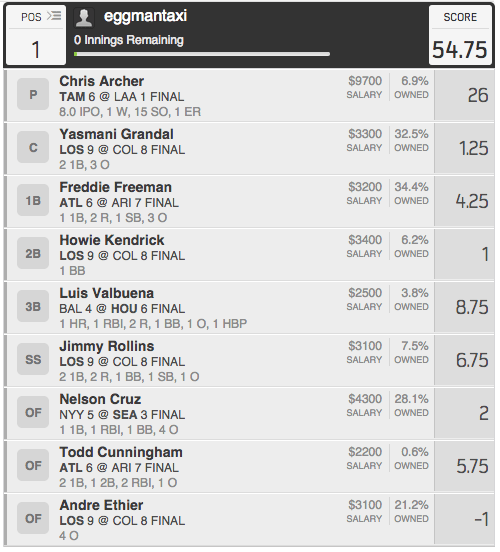 Despite rostering two Dodgers hitters (Kendrick and Ethier) who scored 0 total points in the team’s 9-8 win over Colorado, eggmantaxi took the June 2nd Tout Challenge behind a huge game from Chris Archer. Four of the five teams that finished ahead of top tout Lawr Michaels had Archer. The other, like Michaels, had Lance Lynn. The teams that beat the Touts: eggmantaxi, drew123, sportsprophet, fossa, and marshalld76. Play Against the Touts Tonight in the #ToutChallenge! 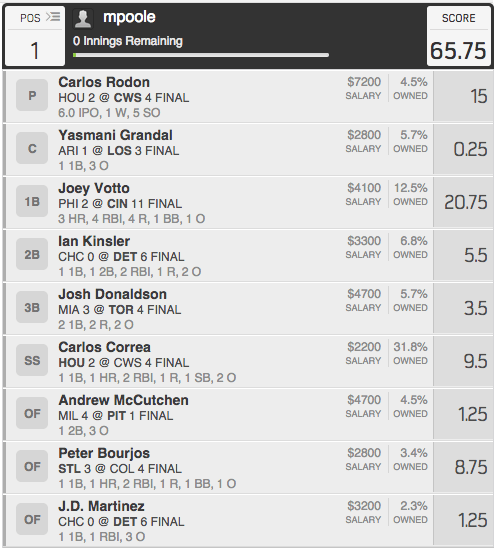 $2 gets you in the door at FanDuel in a game of 160, that pays $4 for each entry in the top 72. 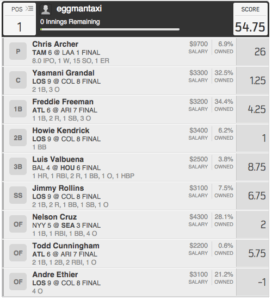 It’s a great way to try out daily fantasy baseball, with a decent chance to win a little. Follow the link to sign up! 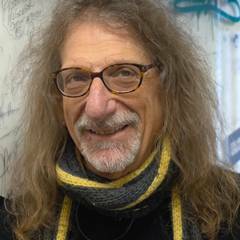 http://fanduel.com/tout-challenge And play against Adam Ronis, Al Melchior, Gene McCaffrey, Jake Ciely, Todd Zola, Lawr Michaels and others in tonight’s challenge!